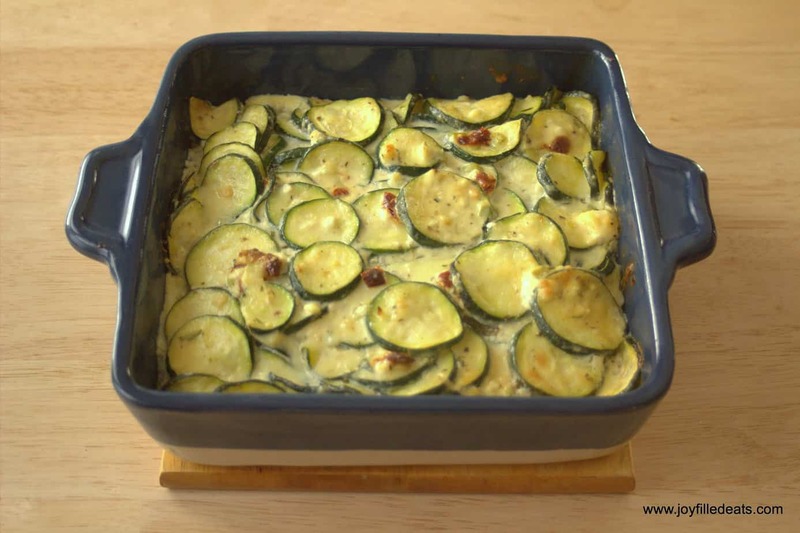 My zucchini gratin recipe has sun-dried tomato and feta cheese which give it a Mediterranean vibe. 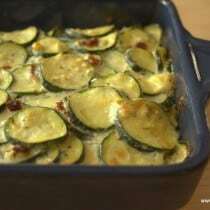 It is grain-free, gluten-free, sugar-free, low carb, and a THM S.
Zucchini is one of my favorite vegetables. It is great roasted, grilled, in egg bakes, raw, as zoodles, stuffed, in soups, zucchini gratin, and much more. It is so versatile. It’s fresh and crisp and lends itself to many interpretations and bold flavors. 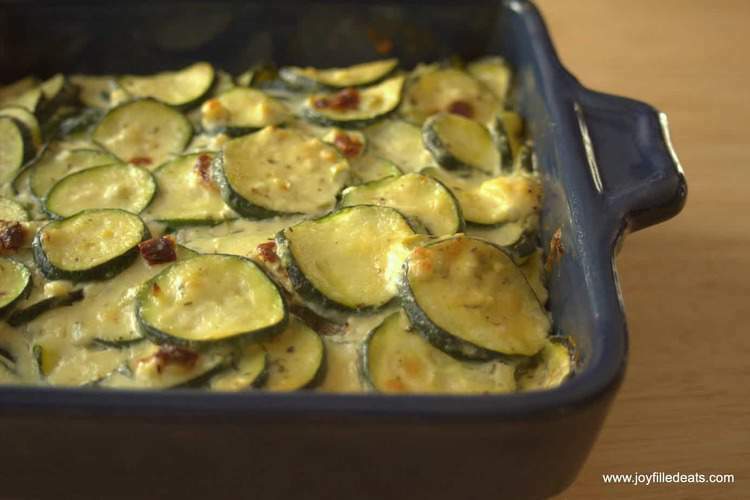 This baked zucchini gratin recipe goes well with roast chicken and a glass of white wine. But, then again, everything goes well with wine. You can switch out the feta for your favorite cheese. This is great with cheddar and onions too. 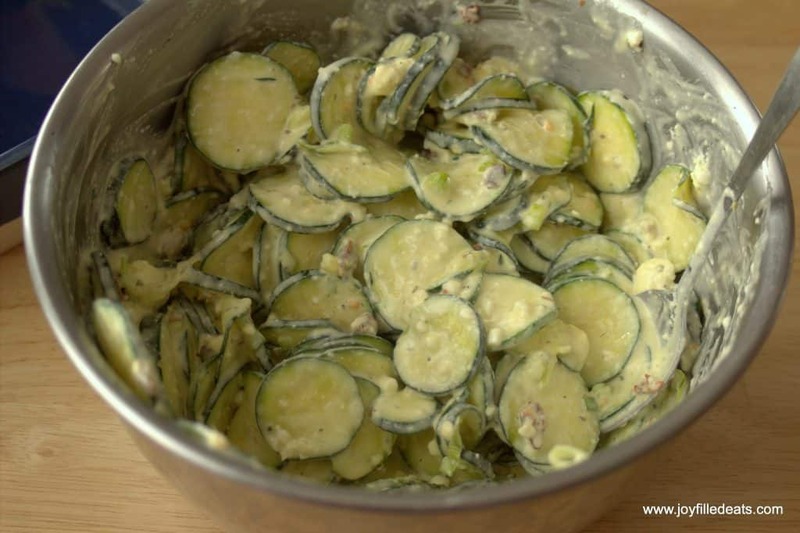 It is a unique way to use up garden zucchini at the end of the summer. I also love using raw zucchini noodles in salads. 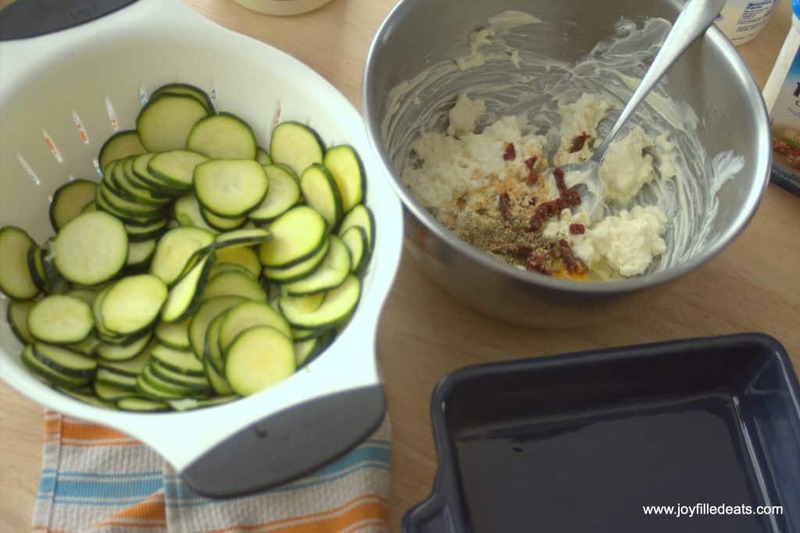 Sprinkle sliced zucchini with a little salt and set aside to drain for 30 minutes. Preheat oven to 350. Spray a baking dish with cooking spray. Combine all the other ingredients in a bowl and mix well. Add the zucchini. Put in the baking dish and bake for 35-40 minutes until golden and bubbly. I use an 8 x 8 casserole dish. I don’t see the nutrition box? It should be there now. I had to update my plugin. Hi, I just updated this post with the nutrition box. Thanks! Thank you! 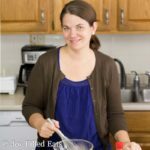 Could I swap out the cottage cheese for something else? Ricotta cheese or cream cheese would work.